In light of recent hardware advances, General Purpose Graphics Processing Units (GPGPUs) are becoming increasingly commonplace, and demand novel programming models to account for their radically different architecture. 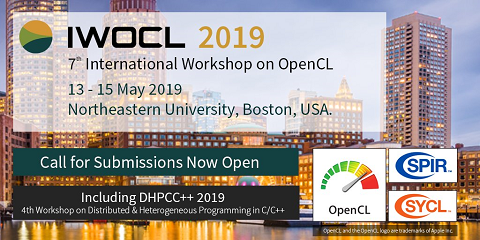 For the most part, existing approaches to programming GPGPUs within a high-level programming language choose to embed a domain specific language (DSL) within a host metalanguage and implement a compiler mapping programs written within said DSL to code in low-level languages such as OpenCL or CUDA. We question this design choice, and argue that by directly implementing a GPGPU offload primitive as part of a general-purpose language compiler, we gain access to a substantial number of existing optimization techniques without having to reimplement them in a DSL compiler. In this paper we describe the structure of our prototypical treatment of this research direction, demonstrating the applicability of our approach by showing how to bridge between APIs by extending the Repa library of Haskell with an offload primitive, and detailing an experimental implementation of our approach within the Intel Labs Haskell Research Compiler. We also provide a detailed study of a set of nine benchmarks, by compiling them to both GPU and two distinct CPUs and comparing their performance.